Whether you are an employee looking for a corporate relocation company to hire for yourself or an employer looking to hire for an employee, Monster Movers can handle both of these moves. Start by filling out our corporate relocation estimate form. For the employee: So, your employer has sent you on a search to find a moving company to move you to your new residence. Have no fear. Monster Movers has years of experience staying within the employer-mandated budget for your corporate relocation. In fact, we have a satisfaction rating of 98% for all corporate relocations. Most choose to hire Monster Movers based on the shear fact that we have guaranteed delivery dates. You will not find a van line or any other moving operation that can guarantee a delivery date for the arrival of your household goods at an affordable price. 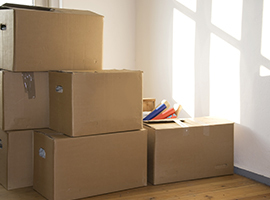 We find that the move itself is extremely important to the stress involved with your new job. 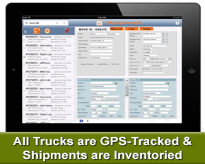 It is extremely important to us to get your shipment there safely and on-time for you to start your new career. For the employer: If you are looking to hire a dependable mover for your employee, look no further. Nothing says ” I care about you” more than hiring a mover that is nationally recognized for outstandinglong distance moving services. We can pack, load and deliver your employees shipment anywhere in the 48 states within 5 days. Please check our long distance time table for exact days. We pledge to provide stress-free, professional moving services for all of your corporate relocation needs.